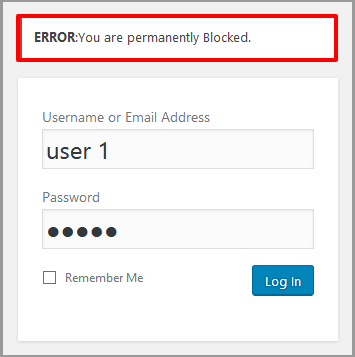 How to Block a WordPress User Without Deleting Their Account? This is helpful because you don’t need to have moved the content and delete the user information. Why should you block the users rather than deleting the user’s accounts? Here’s the reason when a user account is deleted. Then admin has to assign all the users articles to another user which is a difficult task. So simply block a WordPress user instead of deleting their accounts. The one of another simple way is to change user passwords and email address. This will block the user and change the user permissions to access the site. User Blocker plugin is the WordPress plugin which has the functionality to block the user accounts without deleting their accounts. 1. Firstly, install and activate the plugin. 2. After activation, the plugin will add a new menu named as User Blocker to your WordPress admin menu. 1. Click on Block User By Time and see all the registered users in the list. 2. Now select the user and click on the pencil icon to set the time range for the blocked user. 3. To block all registered users at once just scroll down the page. 4. Now add the time for each day separately and finally click on Apply to all button. After all, changes click on the Block User button below and save the changes. 1. The User Blocker plugin give you the option to block any user by date. 2. Go to the second tab and select the user from the list and set the date range to block the user. In this option, you can also able to select all user at once and block them for similar data range. 1. To block the user permanently, go to the final tab. 2. Simply select the user you want to blocked permanently and click on Block user button below. Lastly, check the status of the blocked user will turn red. 1. Furthermore, if your site has multiple users accounts for a different role. 2. Then under the Block User Permanent tab, click on the drop-down menu Select User/ Category. 3. Under this category, tick on the role and you will get a list of all registered users. 4. Select the user you want to block and click on Block Role button. Note: You cannot block a user with a specific Administrator role. Note: You have to keep it updated and activated regularly. Otherwise, if the plugin is deleted, users will automatically be unblocked. How to Unblock User Accounts? Further, if you want to reset the user accounts then user blocker plugin also gives you an option to unblock them. 1. Got to dashboard and User Blocker » Blocked User List. 2. Click on the last tab block user list and Reset the settings to unblock them. After resetting, the user can log in to their accounts normally. That’s all I hope this article helps you to know how to block a user without deleting their account.